Whether you’re looking to build a bike shelter for employees, or revamp the exterior woodwork on a building project, Rawlins Paints has the right wood finish for you. We stock a comprehensive range of wood varnishes, stains, oils, protective finishes, and wood paint for both interior and exterior uses – pretty much every project you can think of is covered by a product in our range. 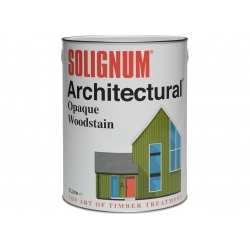 Whatever you need, we can provide advice on the best wood finish to use, from heavy duty floor varnish to opaque wood paint, like Solignum's solvent based Architectural coating, or decking oil to Danish oil. Contact our Technical Team if you’re unsure as to the best product for your needs – remember to consider if you need water or solvent based wood finishes, when you want to apply it, if it’s inside or out and whether it should be coloured or clear. A number of these finishes are available to buy today at Rawlins Paints, and we have published articles on our blog on how to get the best wood finishes, or looked at product recommendations for a specific project. Water resistance is frequently a key requirement – to protect against spills, splashes and light-cleaning products. There are so many products and finishes available, that to cover all application and finishing methods per product type would be nearly impossible. So, please visit our blog or contact us for application and ‘best finish’ tips per product. Bear in mind that water-based and solvent-based products may dry / cure to leave a different result – solvent coatings may be slightly darker, but ultimately are more durable. Wood stains will also soak into the wood or timber and therefore cannot be sanded down, whereas varnishes can be applied as a durable topcoat that can be sanded down or planed to remove it. Please contact our Technical Support Team if you are unsure which product will deliver the correct finish you require, or test a product on a small off-cut or hidden surface area first, to see to result you will get upon full application. We stock a vast range of surface preparation and finishes for internal use, whether it’s the inside of garden sheds, log cabins, window frames, doors, wooden window trim, wooden floors, kitchen worktops, bar surfaces or furniture. Depending on your project, you may want to use wood oils which sink deep into the grain of the wood. Often easier to apply than varnishes, wood oils are great for repairs and maintenance on wooden floors and surfaces. Or you may want to choose a heavy-duty varnish if your surface is going to need to be very heard wearing. Polyurethane clear floor coatings are oil based varnishes that give a good finish to wooden floors, while also being very durable. Coo-Var Polyurethane Clear Floor Coating is particularly good for high traffic areas like restaurant floors, as it gives a hard glaze and a surface that’s easy to clean. Durable and low-maintenance, it’s a good option for floors that need to be hardwearing. For a finish that offers good protection from spillages and stains, Timberex Hard-Wax Oil works well. 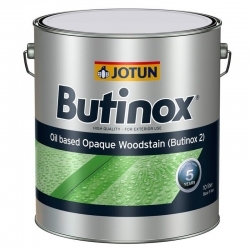 It’s a hybrid product somewhere between a traditional oil and a coating and can be used on lots of different surfaces including wood floors, furniture and kitchen worktops to give a protected yet decorative finish. If you’re looking for specific wood paint colours, we have creative options such as Blackfriar Metallic Paint. For interior and exterior wooden surfaces, metallic paint gives an enriched and gilded finish to your woodwork, making your project stand out from the crowd. Particularly good for public areas such as restaurants, pubs, dining areas and anywhere that needs a bit of decorative flair. Ardenbrite also offer similar wood paints, with a beautiful metallic finish. Choose from Ardenbrite Metallic Paint (Water Based) or Ardenbrite Metallic Paint (Solvent Based) depending on the needs of your specific project. 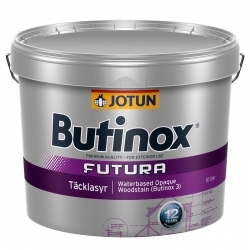 For a satin-finish wood paint, Mathys Fassilux Aqua XPE Satin can be used on interior and exterior timber and gives a lovely scratch resistant finish. Or for a fast drying, non-yellowing gloss enamel, you could choose Bedec Aqua-Advanced Gloss, guaranteed to keep the colour true. 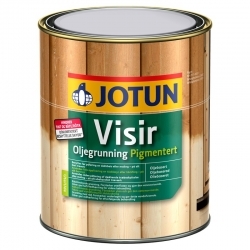 If you’re not looking to recolour your woodwork, then you could choose a Danish Oil product. 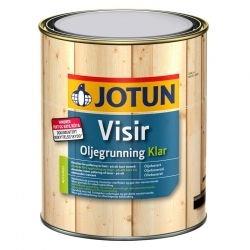 Coo-Var Danish Oil gives a very durable, water resistant seal to wood, and can be used on exterior woodwork and interior woodwork. Danish oil brings out the natural beauty of the wood and enhances its appearance, without drastically changing the colour of the finish. 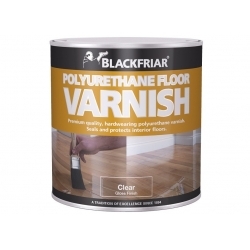 A blend of oils specifically for hardwood, Coo-Var Teak Oil works well on wooden furniture or if you’re looking for a shinier finish, Coo-Var Polyurethane Varnish is a hard wearing, clear varnish that can also be used on interior or exterior timber. With a choice of eggshell, matt and gloss finishes, it’s particularly good for kitchen worktops, furniture and interior doors. Outdoor wooden furniture, fences, sheds and various other timber also needs decorating and protecting. As it’s obviously subject to potentially harsh weather conditions, the protection from Blackfriar's Gold Star wood preservative is different than for indoor woodwork. We stock external varnish, external wood stain and external floor paint for various uses, including waterproofing external walls and floors. Click here for the full range of exterior wood finishes, including products from Ardenbrite, Bedec, Blackfriar, Coo-Var, Everbuild, Jotun, Mathys, Rust-Oleum, Solignum, Teamac, Timberex, Wethertex and Zinsser. Timber decking finishes, whether it’s garden decking or boat decking need to be carefully considered based on the requirements of the surface area, usage and environment. If you need more waterproof protection, or want something for specific wood, such as teak decking for boats, then contact our Technical Team for advice. It’s important to prepare decking properly before applying any kind of timber decking finishes. Non-slip decking properties, fire retardant decking or sprayable decking stain… whatever you’re looking for we can help you out. 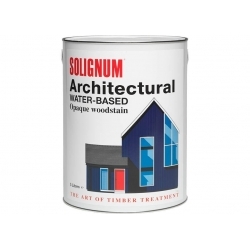 Solignum Timber Decking Oil is an oil that can be applied with a brush and provides protection at the same time as enhancing the appearance of the wood. For teak and hardwoods, Teamac Teak Oil gives a good water resistance coating thanks to its blend of natural oils and silicone. You can use this inside and outside to ensure your hardwood is beautiful and protected.